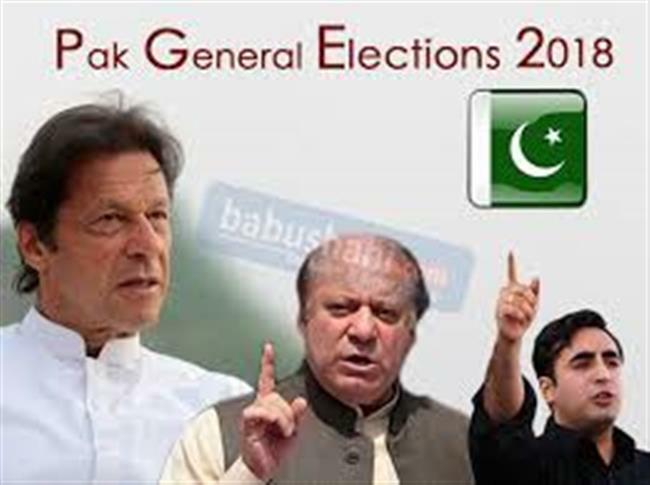 Islamabad, July 24 - Pakistan will vote on Wednesday to elect a new National Assembly and provincial assemblies following a chaotic and distasteful election campaign marred by terror attacks and unprecedented accusations of interference by the military. 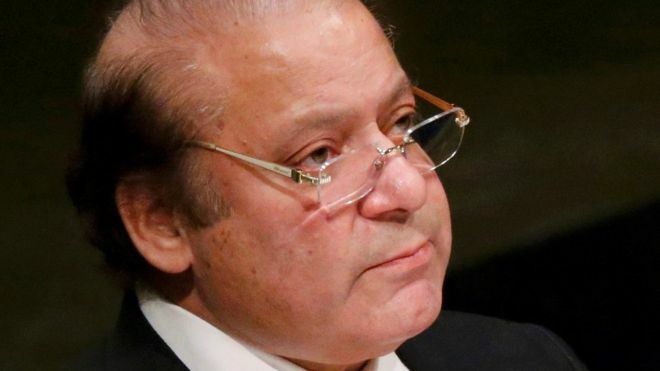 With former Prime Minister Nawaz Sharif in jail over corruption charges along with his daughter and son-in-law, the main contestants will be his demoralized Pakistan Muslim League-Nawaz (PML-N), cricketer-turned-politician Imran Khan's PTI and the Pakistan Peoples Party (PPP) with scores of smaller parties also in the fray. Imran Khan's Pakistan Tehreek-e-Insaaf (PTI), which critics say has the covert backing of the military establishment, is said to enjoy a slight lead over its rivals and the flamboyant politician has threatened to upset the traditional political bigwigs. Also contesting are Mumbai terror attack mastermind Hafiz Saeed's son Hafiz Talha Saeed and son-in-law Khalid Waleed. They are among 260 candidates fielded under the umbrella of 'Allah-o-Akbar Tehreek', which was registered with the Election Commission in 2011. The last democratically elected government completed its full term on May 31 but by then Pakistan was in turmoil, with Imran Khan launching a no-holds barred attack on Nawaz Sharif, who was forced to step down as Prime Minister by a court on corruption charges. On the last day of campaigning, Imran Khan addressed four rallies in the PML-N strongholds in Lahore while PML-N President Shahbaz Sharif concluded his party's campaign with a public meeting in Dera Ghazi Khan in Punjab, the PML-N base. PPP Chairman Bilawal Bhutto-Zardari addressed supporters in traditional bastion Sind before paying homage at the graves of his assassinated mother Benazir Bhutto and grandfather Zulfikar Ali Bhutto. Polling will begin at 8 a.m. on Wednesday and end at 6 p.m. Over 100 political parties are in the fray for 272 seats in the National Assembly. Despite a wave of terror attacks, thousands packed election rallies even as candidates went from home to home seeking support. But mainstream television and social media played a powerful role in the campaign. Over 200 people, including three candidates, were killed in terror attacks. In all, 3,459 candidates will contest 272 seats. Another 60 seats are reserved for women while 10 have been kept aside for religious minorities including Hindus. Around 1.6 million electoral staff will be on duty on polling day. Nearly half a million police personnel will be deployed, out of which 202,100 will be posted in Punjab and Islamabad and 100,500 in Sindh. From Adiala Jail in Rawalpindi, Nawaz Sharif -- who has fallen foul of the military -- asked Pakistanis to give "a historic verdict which may sweep away all those verdicts that have made Pakistan a graveyard of justice". Imran Khan continued to be aggressive, telling huge rallies on Monday night that the Sharifs claims of development were "only in advertisements". He urged the people to change the fate of Pakistan. Others making a strong pitch for a slice of power are the Muttahida Qaumi Movement-Pakistan (MQM-P) and Pak Sarzameen Party (PSP) in Karachi and the Awami National Party (ANP) and Muttahida Majlis-e-Amal (MMA) in Khyber-Pakhtunkhwa. For the first time in Pakistan's history, tribal areas will vote after being merged with Khyber-Pakhtunkhwa. According to an Election Commission official, 5,878 polling stations have been declared "highly sensitive" -- official euphemism to mean they are prone to violence -- in Sindh, 5,487 in Punjab and Islamabad, 3,874 in Khyber Pakhtunkhwa and FATA and 1,768 in Balochistan. In a special message, Chief Election Commissioner Justice (retd) Sardar Raza Khan urged people to vote without fail. He promised a free and fair election.